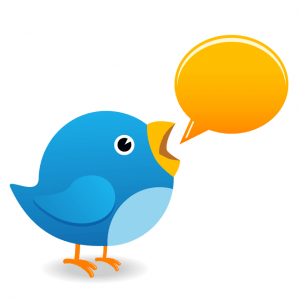 Twitter is one of my best social media channels that I use and suggest to our clients. For many people and businesses it has provided a vehicle for their social media marketing campaigns. It doesn’t mean that if you create your profile on Twitter you will be a success, but like any other social media medium, it is all about connecting and interacting with targeted audiences. Twitter is about establishing and maintaining relationships. Once again this all sounds good and easy, but how do you actually go and Tweet and make the best out of your efforts? Many people believes that you must first speak and then others will listen. Unfortunately, this is not true in real life and the same goes for any social media channel that you want to use. Always listen first before you start broadcasting what you want to say. Find below a couple of tips for making the best out of your Tweets. Original: When you are tweeting the title of an article with a link back to the source, will this grab your followers attentions? Try to come up with your own creative title that others will find interesting. Be short: You only have 140 characters to get your message out so always try to be concise. Shortness is the key on Twitter. Always narrow your tweets down to only key points, it’s amazing how much info you can leave out. Headlines: Being original is also very important. Your message should always be straight to the point and be eye catching to others. Interaction: Twitter is all about human interaction. People won’t follow a Twitter user that only spams other members. Be a real person and connect with others. When to tweet: What time are your demographic online and when are they active? If you are trying to target another business, there’s no point in Tweeting to them at 3:00 AM in the morning. The cleverest time to target a specific demographic would be the times that they operate in. Focus: In my experience it is always best to choose a specific topic and stick to it. This way you will get followers with a level of consistency. People always like to know what they are getting. Interesting tweets: A tweet that doesn’t make the reader ask a question or cause them to think about it is a wasted tweet. Everything that you tweet should be geared to provoke interaction from others.